Living the laptop lifestyle sounds great but sitting in front of the computer screen all day is not good for your physical or mental wellbeing! 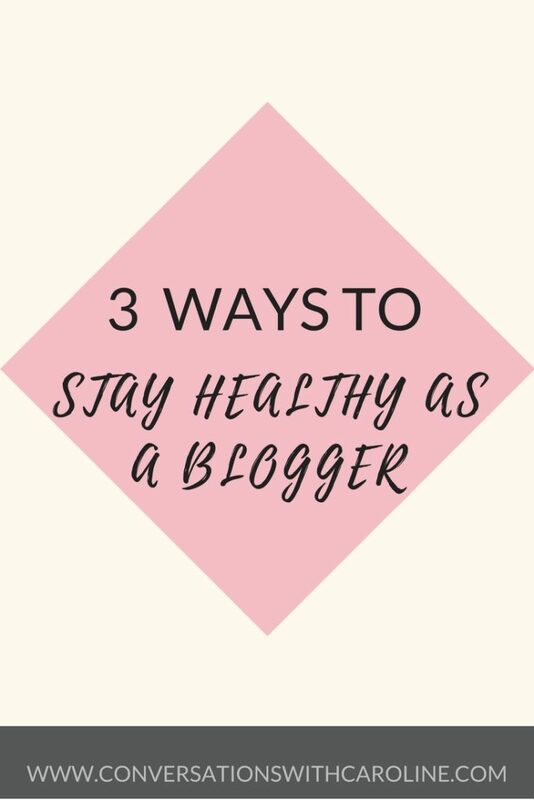 Today as part of my blogging challenge I am sharing my top tips to stay healthy as a blogger. Having worked from home for the last 6 years I’ve found it can be so easy to sit in front of the computer writing, researching and let’s be honest often procrastinating! I found the same when I worked 9-5, it’s so easy to sit all day. Over the years I’ve found a few techniques to help me not only stay motivated but also do my best to look after myself. Whether you blog all the time or once a week, it’s important to look after your health at all times. Drinking plenty of water is vital for anyone, it’s recommended to drink 2-3 litres a day. Fortunately for me, I don’t drink much else. I don’t like coffee or tea and I never drink soda at home (only occasionally when I am out). However, even I sometimes struggle to drink enough. It’s easy to get carried away with writing a blog post and forget. Recently I got a 500ml water bottle to have at the side of my computer. I found having a litre bottle to be overwhelming. My minimum goal has been 4 of these bottles and since I’ve been more focused, I’ve been drinking that and more. Water helps you concentrate, flushes out any toxins and helps to reduce bloating – These all sound good fo me! This is the one I find the hardest to do but it’s important to move around every hour or so, especially if you’re sat all day. When I’m at home I’ll sometimes get up and jump around. Not only is this good for your body but it can also revitalise your mind. If I’m at home all day I’ll take a walk around the block whilst listening to a podcast or some music. Anything to get away from the computer for a few minutes will do you good. Finding some sort of physical activity is also good for the mind and body. I’m a member of the gym and do my best to go 4-5 times a week. When I don’t go, I feel much more tired and less motivated. Even a 30-minute walk will do the trick. After a few injuries and health problems, I’m working on getting back into a gym routine and I feel so much better for it. The key is to find an activity you enjoy to do. 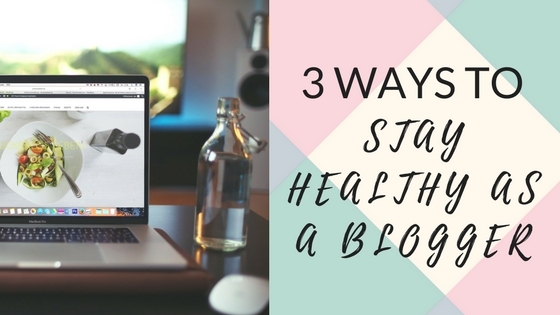 Those were my top 3 tips to stay healthy both in body and mind as a blogger! What’s your top tip for staying healthy? Comment below!